Only took a couple of days to do these guys. The Protectorate Wracks. Along with the Vassal, these guys really add to the "your faction is kinda evil" feeling, even if some of these guys are "volunteers". Anyway I took the opportunity to try out painting rust. Which happily isn't as hard as I thought, and looks half decent. I also did 3 layers for the flesh and pants of each guy as a direct contrast to the shabby look of the wracks themselves. 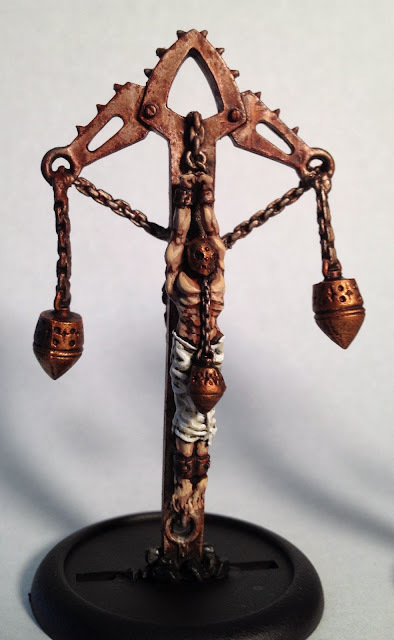 2 layers of ink (Ogryn Flesh and Delvin Mud which apparently doesn't exist anymore. 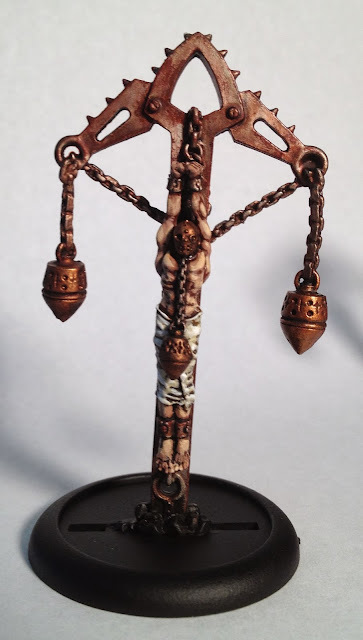 grrr) over a base of silver, and with all the edges spatter drybrushed with terracotta seemed to do the trick. Still trying to master the "water streak lines of rust", but hopefully I'll have that down when I start painting the Mariner. 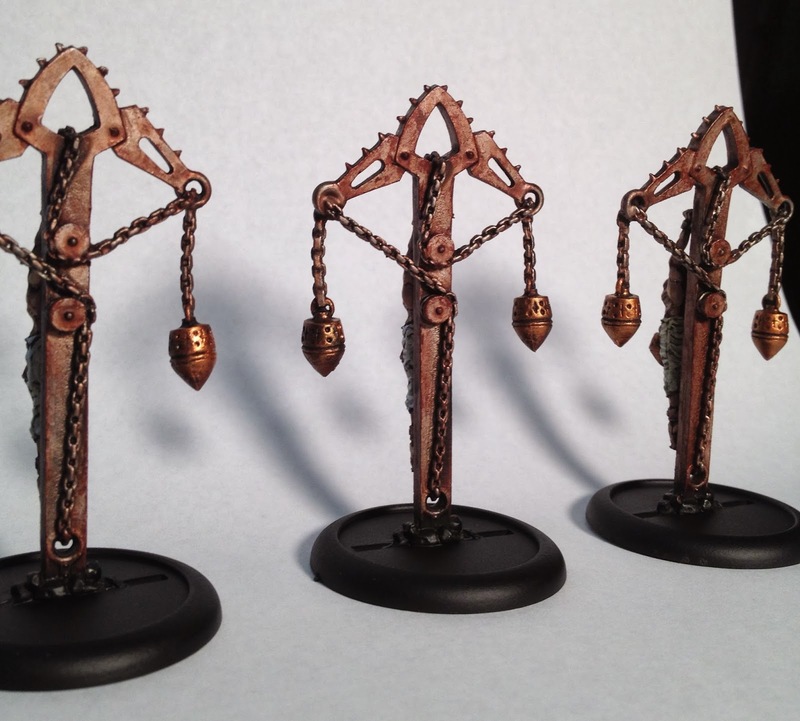 Far too much effort on them, since the 3 of them cost 1 point total, but they came out well enough. As for not doing the bases yet, yeah I know. I'm going to wait until all of my guys are done, and then I'll base them all in one go, and then dull coat everybody. The bases intimidate me because I've never used static grass before and I really want to try it, but just have to work up the courage to do a test base, possibly with one of the jack wreck markers before moving on to all the other bases.